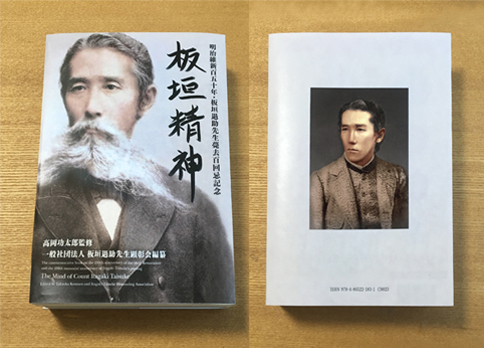 This book is published for the commemoration of the 150th anniversary of the Meiji Restoration and the 100th memorial anniversary of Itagaki Taisuke’s passing, and is edited by Itagaki Taisuke Honouring Association to trace and honour his achievements. The book has several characteristics as follows. 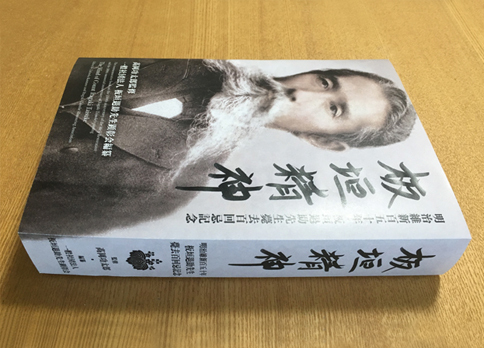 Firstly, it reprints with explanations the full detailed text on his achievements in his posthumous work “Rikkoku no Taihon (The Basis of the Prosperity of the Nation)” published for the first anniversary of his passing. Secondly, it prints his short biography with a dozen main episodes. Thirdly, it prints a valuable photograph of his youth (the ambrotype taken in the last years of the Edo period and is a treasured one printed for the first time in a book of publication). Fourthly, it records the history of honouring activities for him in the coming ages, such as the buildings of bronze statues and a number of memorial services for him. Fifthly, it records the details of the two memorial services which were held in Kochi on July 16 and in Tokyo on September 29 for the 100th memorial anniversary of Itagaki Taisuke’s passing. For these occasions, the Japanese Prime Minister Abe Shinzo, the president of the Liberal Democratic Party which originates with the Liberal Party founded by Itagaki Taisuke, gave to Itagaki’s spirit and all the people who honour him a calligraphy of his phrase “Itagaki shisutomo Jiyu wa shisezu (Itagaki may die, but liberty never ! )”, which is historically famous for the expression of his mind. The two mortuary tablets with a carving of the Prime Minister’s calligraphy of the phrase were dedicated in his two family temples, the one tablet in Tokyo and the other in Kochi in each occasion of the 100th anniversary. For the sixth characteristic, it prints the detailed genealogy and materials covering from his ancestors to his descendants. For the last characteristic, it even prints the result of genome analyses of him, based on the DNA samples donated from his descendants in the male line. All the activities for the project commemorating the 100th anniversary, which are mentioned above and described in this book, are the experiments for the first time in the world and are very epoch-making. Therefore, from now on this book will be a must for research on Itagaki Taisuke.